In other words, a website builder is a program, or tool, that help you build a website. In this article, we will take a look at the different types of website builders, but our focus will mainly be on online website builders. We will also look at how online website builders work. Website.com is an example of an online website builder. How does an online website builder work? You start by choosing a design template that best fit your needs. 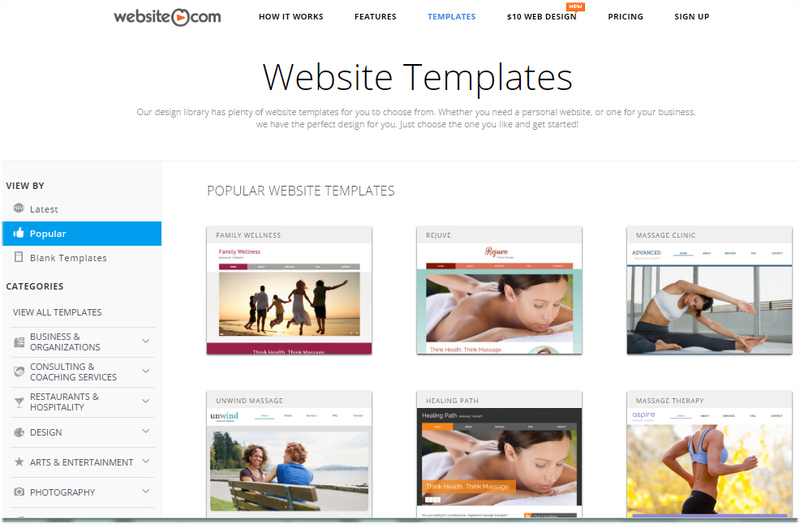 All online website builders come with a library of website templates. 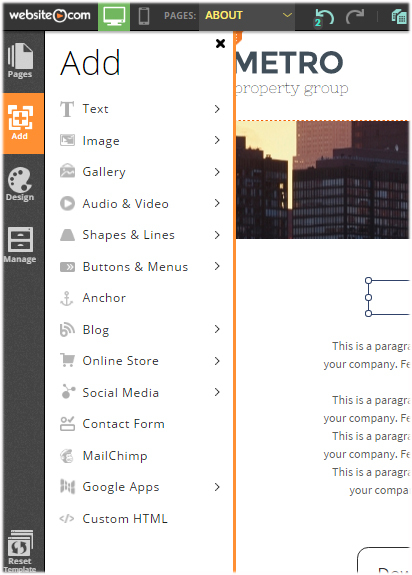 Page elements are re-arranged by dragging and dropping – just drag and drop the element to the new position. Once you are happy with your new website, just click on the Publish button and your website will be viewable online!